The new Centre, the Glengarry Heritage Centre, now has a dedicated room in the Glengarry Community Hall, opened in May 2006. The aim is to encourage an expanding archive of local history, continue to welcome visitors with Glengarry links and also to offer a service to those in search of their ‘roots’. 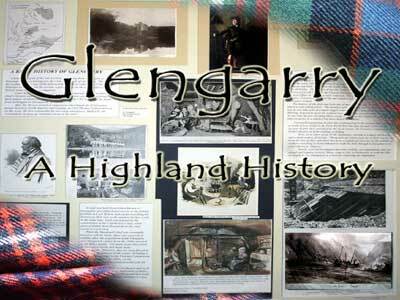 Glengarry Heritage Centre is a charitable association run entirely by local volunteers. At present, it is open from Easter to October on Tuesday, Wednesday and Thursday, from 11 a.m. to 3 p.m, but is accessible at other times throughout the year by appointment and for local people. Admission is free. We now also have a small reference library, local census records and facilties for scanning and printing photos and pictures from our collection. Researchers from home or abroad are very welcome. A small book with lively illustrations and a Gaelic translationadapted from a tale in “Place Names”. £2.50 plus postage. 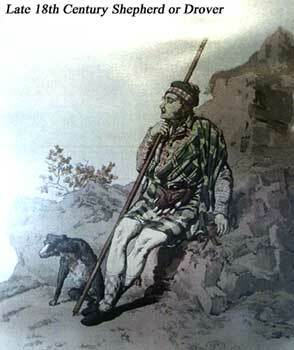 We also print a range of historical leaflets as a guide to the Glengarry area which we sell at the Centre and we have a small retail section selling books, maps and cards with a selection of local maps for walkers looking for old tracks and paths as far as Knoydart along the old road via Tomdoun to Kinlochhourn. 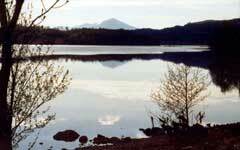 Walks around Glengarry include the Great Glen Way, the Great Glen Cycle route and the Glengarry Forest Walks. Walks to old Highland settlements in Glengarry Forest can sometimes be arranged with the Recreation Ranger at Forest Enterprise, Lochaber who have been working with us to open up more access to local and natural history and archaeology. The Daingean Trail, which we opened in 2005 in partnership with the Forestry Commission, is a good example of a pre-clearance settlement site. This is easily approached via a forest track 5 miles from Invergarry just past the Tomdoun turning. The following is just a selection of accommodation available in the area. 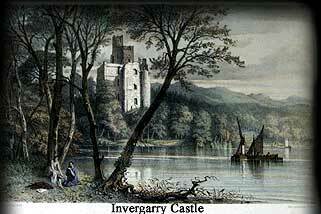 At the Heritage Centre we also keep a list of a variety of bed and breakfast and guest houses in or near Glengarry. The old Invergarry Store is closed but the Glengarry Filling Station has a small shop attached. The local post office is open from 9 am to 12 pm. For a wider selection, there is the Seven Heads Store opposite the Well of the Heads monument on Loch Oich, just two miles out of the Village. For supermarket shopping, Fort William is 25 miles and Inverness 45 miles away. Fort Augustus, on the Caledonian Canal, is just 7 miles away and has a good selection of shops and also a Tourist Information Centre. 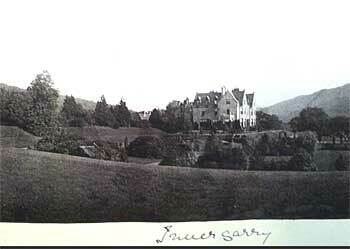 Come and visit us and help keep alive the fascinating story of this Highland glen.